The Temple Stakes, run over 5 furlongs at Haydock, is a prestigious and valuable race in its own right, but often serves as a preparatory race for the King’s Stand Stakes at Royal Ascot. Four favourites have won in the last ten years, but winners at 14/1 and 10/1 in the last three renewals provide a glimmer of hope as far as this column is concerned. Strictly speaking, Aeolus (28/1) has 12lb to find with ante post favourite Mecca’s Angel on official ratings, but Ed Walker’s 5-year-old should be fit as a flea after running well on both starts this season. 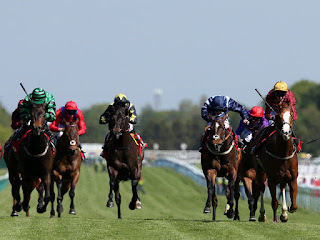 He finished sixth of 21, beaten 1½ lengths, behind Profitable in the Palace House Stakes at Newmarket on his first attempt over the minimum trip and, with rain forecast in the North West on Friday evening, he could have underfoot conditions to suit. Steps (25/1) finished out with the washing in the Palace House Stakes on his seasonal reappearance and is another who could do with a drop of rain, but is a smart sprinter on his day, as he demonstrated when getting up close home to win the Dubai International Airport World Trophy at Newbury last September. Trainer Roger Varian has a healthy 6-24 (25%) strike with his older horses at Haydock over the last five seasons, so Steps could go better than his odds suggest. Take Cover (18/1) has recorded his best form on a sound surface and is another who should be fighting fit after finishing fifth in the Palace House Stakes on just his second start since October. He has something to find with Goldream on their running in the King’s Stand Stakes at Royal Ascot and the Prix de l’Abbaye at Longchamp last season, but went close in Group 2 company a couple of times and shouldn’t be underestimated.